One of the greatest things about hiking in Phoenix is being able to witness all the various stages saguaro cactuses go through. 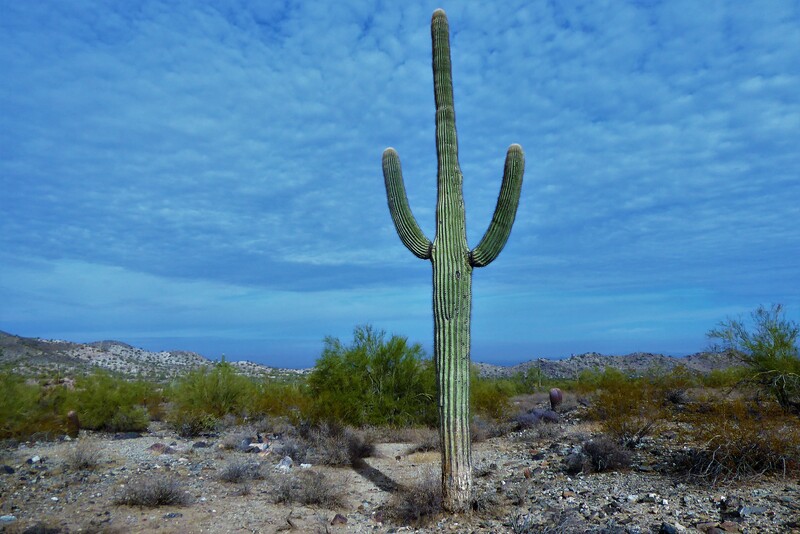 From being a small single cactus with no arms, to an older heavy saguaro with numerous branches sticking out, you get to see a variety while out on the hiking trails. While at first sight of seeing a healthy and plump saguaro cactus one might expect some type of gel inside the flesh. 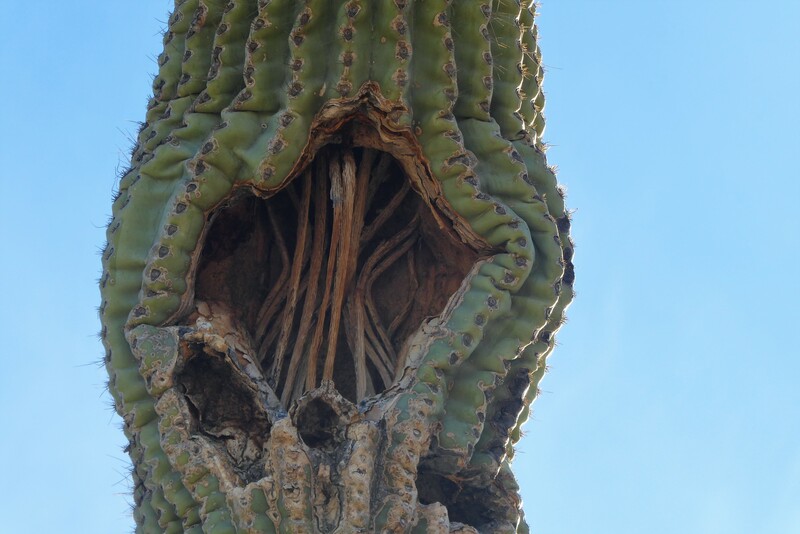 But the reality is that inside the saguaro cactus is a wooden skeleton. You may be able to notice the wooden skeleton as you pass by certain saguaros. 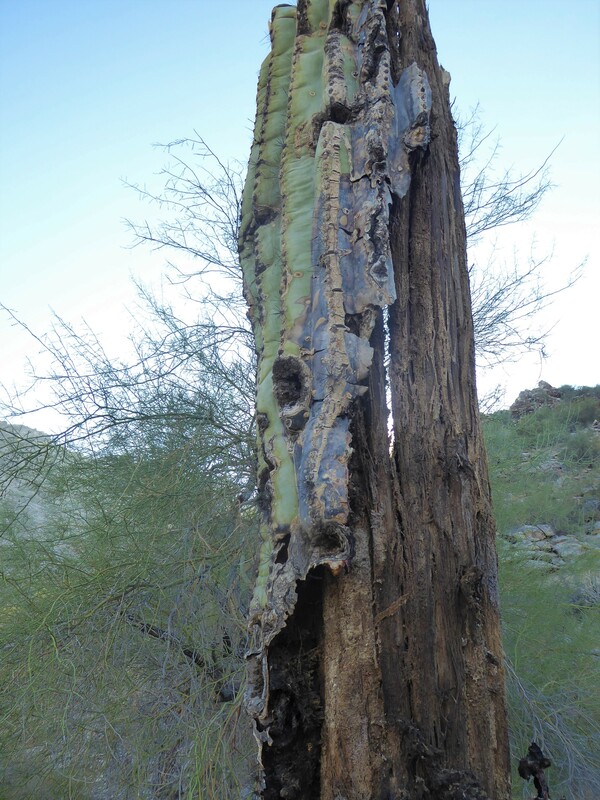 Sometimes when a saguaro falls, it leaves the wooden skeleton still standing in place or pieces may be exposed along the ground. 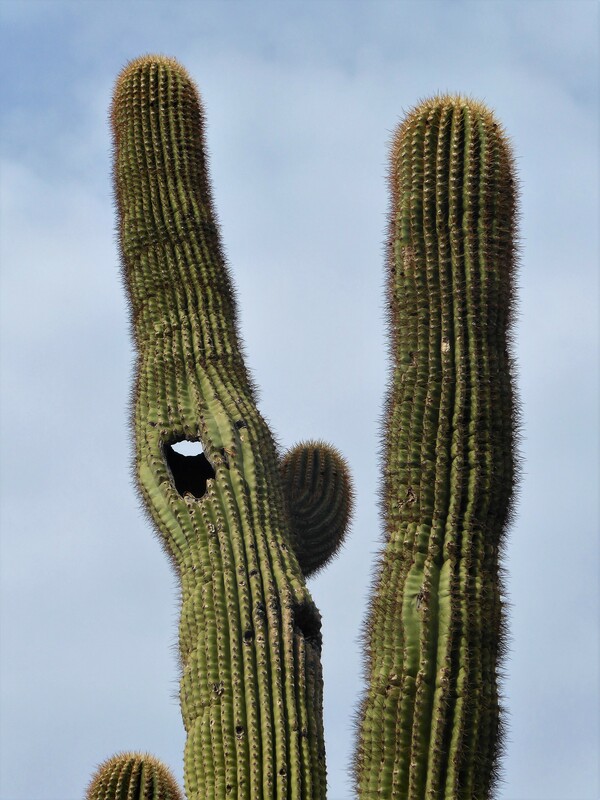 You may also notice that some saguaro’s have holes dug into their branches or trunk. This typically happens when a Gila woodpecker, pecks through the wooden skeleton to make itself a little nest inside the saguaro. When the woodpecker moves on, other birds and owls take advantage of this opening and make the empty hole their new home. So as your hiking the trails, make sure to pay attention to the saguaros. See if you can spot their wooden skeletons, and if you’re lucky hopefully you spot a bird peeking out at you!